In the 2017 ESC Radio Awards Moldova’s Sunstroke Project were the winners in the ‘Best Group’ category. Recently Anton, Serj and Sergey received their trophies, and here’s their thank you message to the listeners and fans who voted for them. 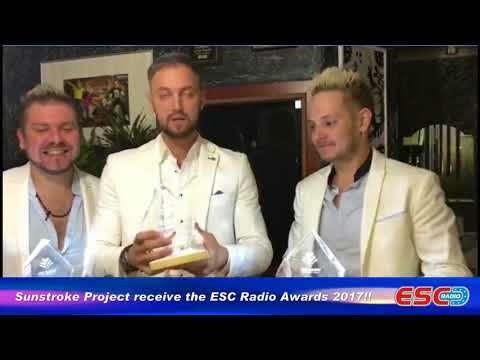 Sunstroke Project receive the ESC Radio Awards 2017!! This entry was posted on Friday, December 22nd, 2017 at 9:30 am	and is filed under ESC Radio Awards, News. You can follow any responses to this entry through the RSS 2.0 feed. Both comments and pings are currently closed.